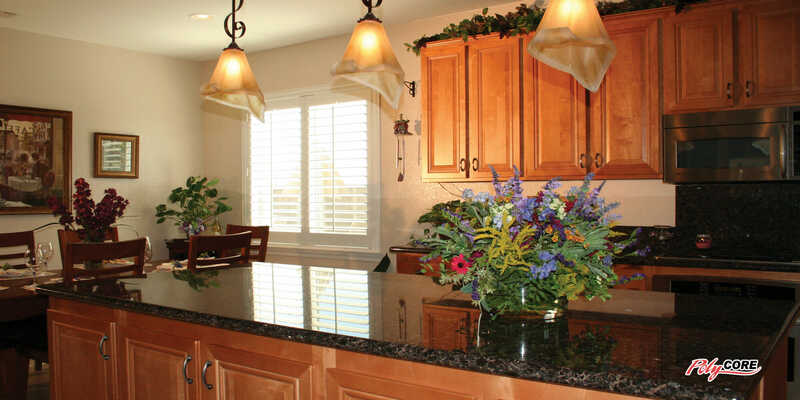 3 Blind Mice is proud to carry Sunland Shutters, providing the perfect combination of function, durability, and style to compliment your home. 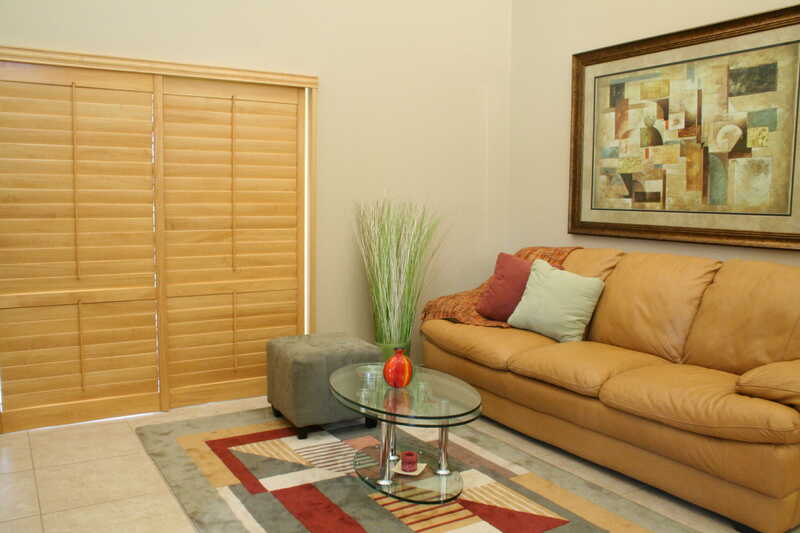 Timeless Window Treatments from Sunland Shutters. Sunland Shutters timeless design, durability, and cordless features makes it the perfect low-maintenance, child-safe window treatment option. Through quality craftsmanship and innovation, Sunland Shutters are built to last with virtually zero-maintenance designs that add a classic look to your home. Additionally, their design and construction provide a significant improvement of energy efficiency. 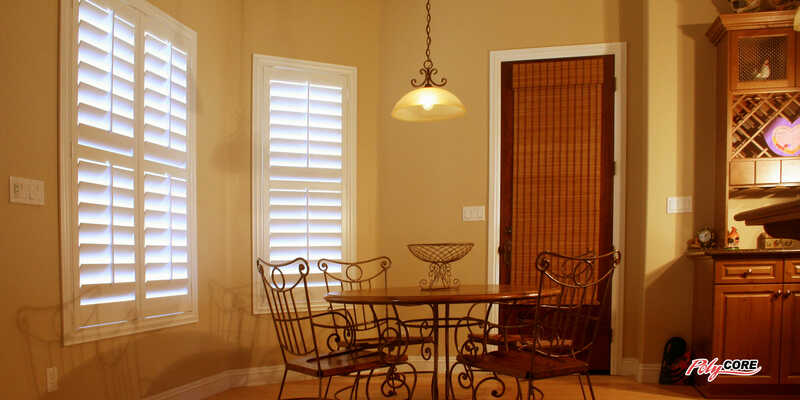 The addition of custom plantation shutters from 3 Blind Mice and Sunland are sure to improve the look and feel of your home. Sunland Shutters are available in two different builds: Polycore and Lexwood. 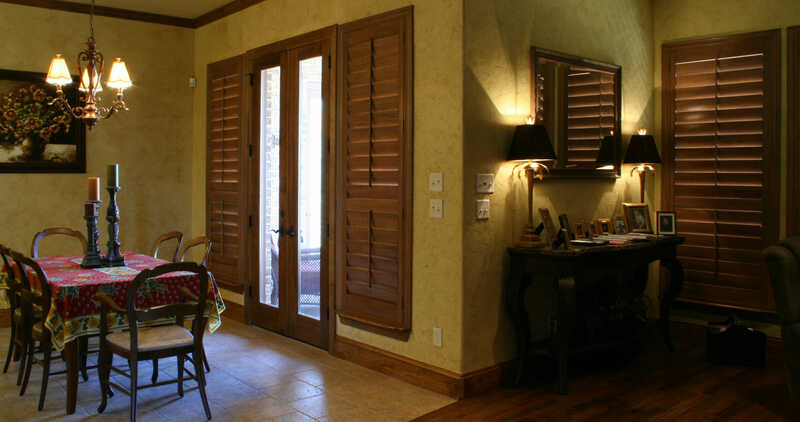 Schedule a free consultation with us to see how shutters can add a classic, sophisticated look to your home. 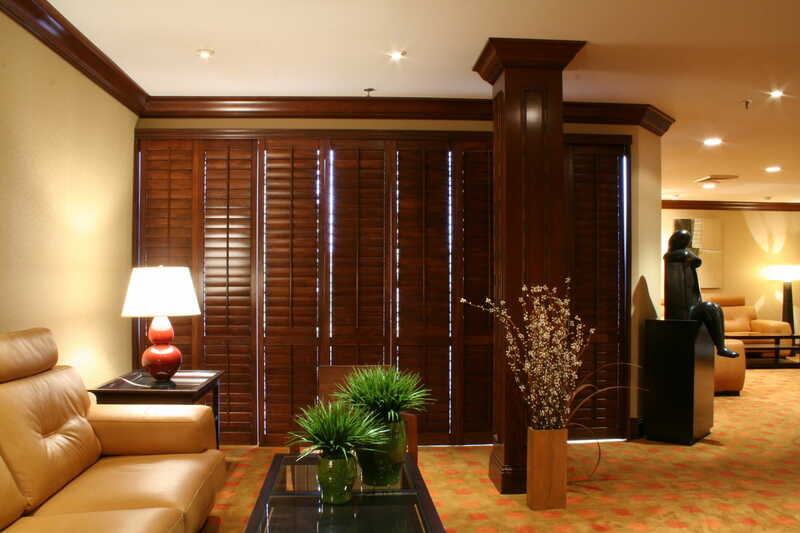 With a durable, rigid, UV- and moisture-resistant surface, Polycore shutters provide top functionality and style. Faux wood shutters offer a multitude of benefits at a smaller price point, all without sacrificing the style real wood is known for. Sunland Polycore Shutters are crafted with a unique aluminum core developed with cutting edge technology to allow for greater structural integrity. Due to the unique reinforcement technology, Polycore shutters come in lengths up to 36″. PVC and aluminum co-extruded components reinforce the center of each panel to prevent bending and racking to create the strongest panels in the industry. 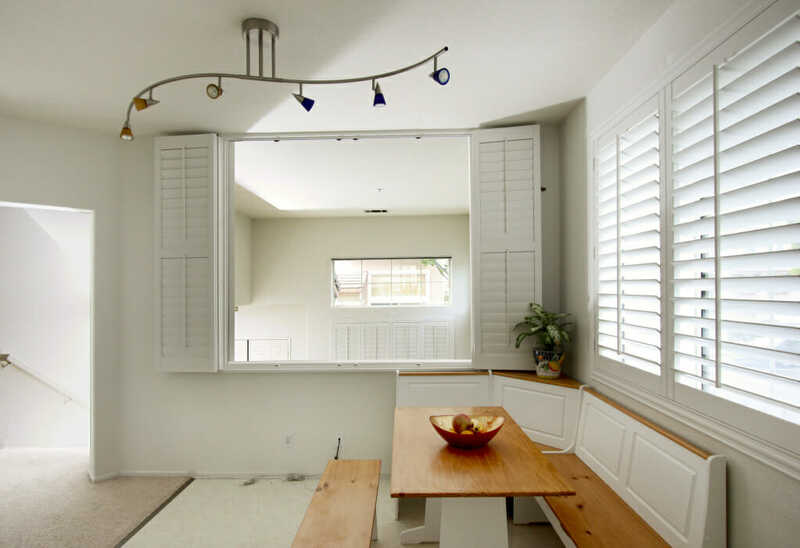 If an elegant, classic look is what you are after, 3 Blind Mice suggests the Lexwood Shutter. Sunland Lexwood Shutters are hand-made from quality bass wood utilizing a process combining old-world craftsmanship with modern technology. 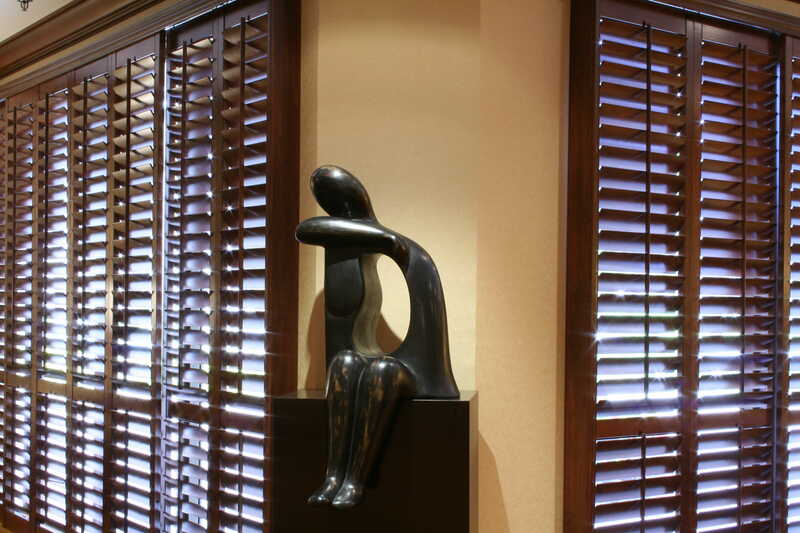 With a variety of frames and shapes available, these shutters are custom fit to your windows. 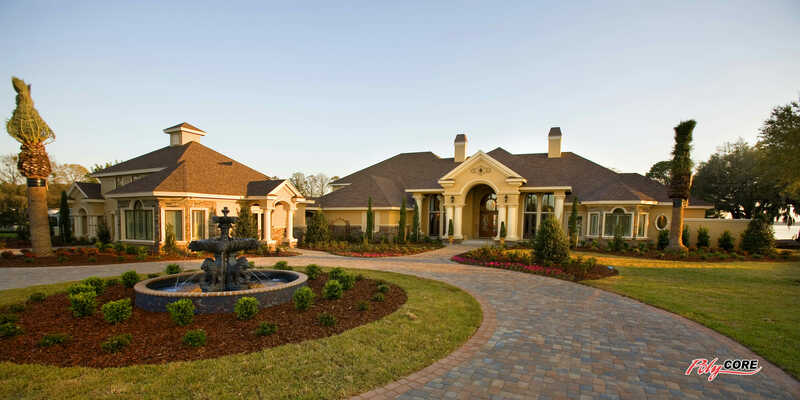 Select from an array of stains and paint colors to enhance the overall style of your home. Tilt rod on the front of each shutter provides easy tilt for light control and privacy. Self-tensioned louver pins remove the need for constant adjustment. 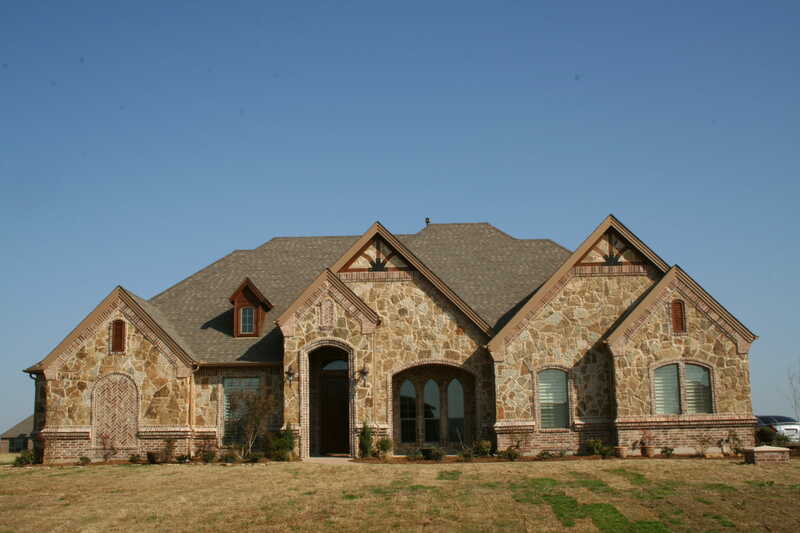 Sunland Shutters are available in a variety of cuts and styles to fit your windows perfectly. Call today to schedule a free in-home consultation with 3 Blind Mice, or stop by our Southern California showroom to select the best Sunland Shutters for your home.